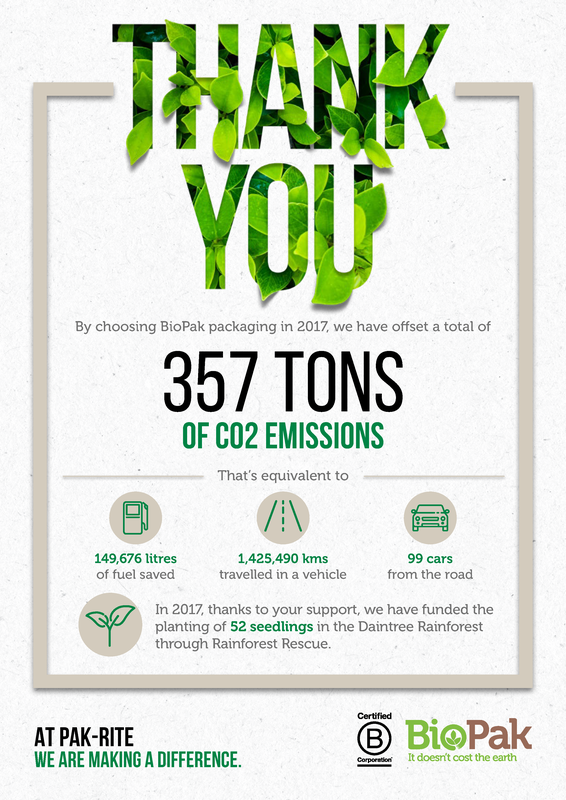 Summary: By choosing compostable and sustainable packaging, Pak-Rite has helped reduce 357 tonnes of CO2 emissions! That's about 149,676 litres of fuel saved from traveling 1,425,490 kilometres in 99 cars from the road. We have also adopted 52 seedlings in the Daintree Rainforest via Rainforest Rescue. Learn more! 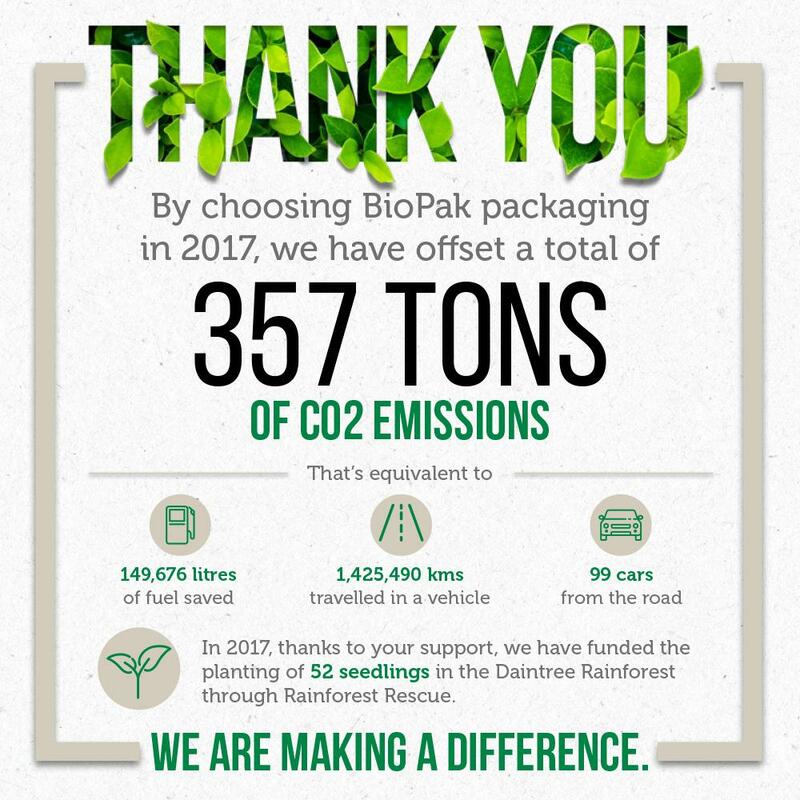 By choosing compostable and sustainable packaging, Pak-Rite has helped reduce 357 tonnes of CO2 emissions. That's about 149,676 litres of fuel saved from traveling 1,425,490 kilometres in 99 cars from the road. We have also adopted 52 seedlings in the Daintree Rainforest via Rainforest Rescue. Be a part of the Global Green Movement! Know more on how you can contribute with compostable packaging by calling (08) 8398 2872 today or email sales@pak-rite.com.au for more information.